As soon as Easter approaches and the temperatures warm up (despite a big snowfall this morning! 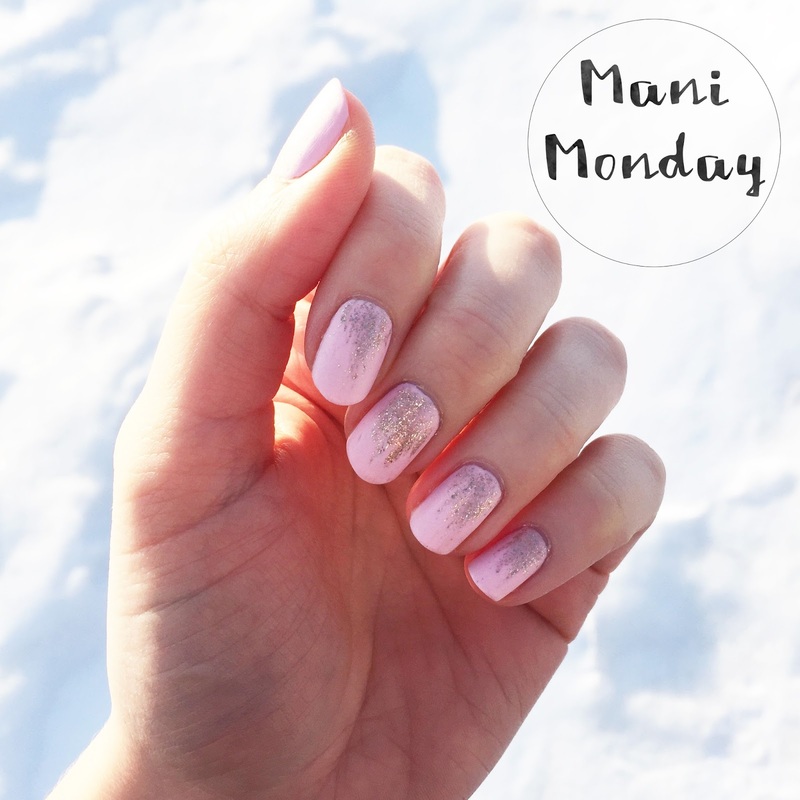 ), I am all about the pretty pastels on my nails. This matte baby pink manicure totally reminded me of a Cadbury mini egg before I added the gold glitter. Light pink with a touch of gold is one of my absolute favorite color combos and I loved this slightly messy, not too perfect streak of glitter. However, as shocking as it is if you've been following my Mani Mondays posts for a while, I have to say I like the glossy version of the manicure better. The shades I used are Essie "Fiji" and OPI "My favorite Ornament" with Essie "Matte About You" top coat.